Many students want to get cash for their old textbooks as soon as possible - which is why they usually head straight to the bookstore. However, in order for the bookstore to make money from buybacks, it only pays a small amount for used books. Imagine you are the bookstore, but without all of the overhead costs. It will take a small investment to get started, but the more you do invest, the more you will likely profit. Before you can sell college textbooks, you first need to get started by building a list of books you see for sale by other students. First check out your college or dorm bulletin board for students selling their used books. After that, build onto that list by checking Craiglist.com ads for your city. Note their asking price for each textbook. What you're looking for isn't just the title, but the ISBN. An ISBN is a unique number on the bottom right corner on the back of a textbook. For every book you record in your findings, make sure you include the ISBN. If the ISBN isn't listed by the seller (it usually isn't) contact them through email asking for it and how they can find it. Tell them you want the ISBN so you can make sure it's the exact same one that your class will be using. Option One: This is the more profitable option, but carries a risk. Auction sites such as eBay, or more specifically Half.com, do not make guaranteed sales. However, auction sites serve as a safe, 3rd party link between you and the student looking to buy. Option Two: Less risk, immediate quotes. 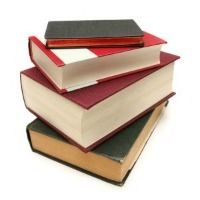 Online bookstores often buy back college textbooks as well, but as mentioned above, are willing to pay more than local bookstores. The process here is simple, click on the sell link on your chosen site and fill in the ISBN to get an immediate quote. All the online bookstores I know also offer prepaid shipping, so don't factor that in. I personally use Bookbyte.com as they usually quote the highest. However, do a Google search for "sell college textbooks" and get a bunch of different quotes. 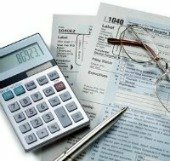 Now that you know the seller's asking price and how much the textbooks you're prospecting are worth, it's time to buy them as low as possible. Set your profit bar -- I usually aim for at least $15 profit per book. Sellers will almost always take less than they are asking for, sometimes for less than half. Student sellers will go even lower if you buy all their books in bulk. Now that you've made the investment, it's time to cash in. Sell immediately through option 2, or post on an auction site ASAP. Be as honest in the description as possible, you don't want to burn any bridges for future sales. Use you're profits to for extra spending cash, or reinvest in more books to buy. There is a small window of opportunity at the end of each semester to do so. If you find success (which is likely if you follow this guide cautiously), you will likely want to buy more books than you can find for sale. This was my brick wall. The more college students in your city, the more sellers you can find. 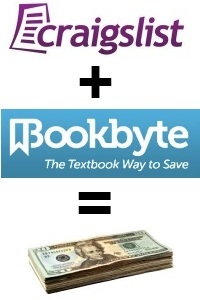 When you sell college textbooks, make each transaction as quick as possible. Newer editions come out on books frequently, and when they do, the value of the textbook drops significantly. This is the risk involved in option 1. When selling on Half.com, plan to sell just below the lowest asking price of other sellers. Students will naturally look for the lowest price, and these will be the quickest to sell. When researching, you might find many books that will not turn out a profit. Don't get discouraged.